LOS ANGELES (Bloomberg) – Daimler's investment vehicle has cut its shareholding in Tesla Motors after shifting 40 percent of its stake to an Abu Dhabi sovereign-wealth fund. Daimler's Blackstar InvestCo, the third-largest shareholder in Tesla, transferred 3.25 million Tesla shares to Aabar Investments PJSC, which is also a Daimler investor, according to a regulatory filing. Daimler remains Tesla's third-largest shareholder, behind Elon Musk, Tesla's CEO, and Fidelity Investments, Jeff Evanson, Tesla's head of investor relations, said in a telephone interview this week. Daimler's investment in Tesla and purchases of its battery packs and motors helped keep the Palo Alto, California-based company afloat after its 2008 cash crisis. Tesla, which last week began delivering the first versions of its battery-powered Model S luxury sedan, has said it's signed an agreement to supply components for a new electric Mercedes-Benz model. "We expect that Daimler is going to retain sole ownership of Blackstar and not sell any of their shares," Evanson said. 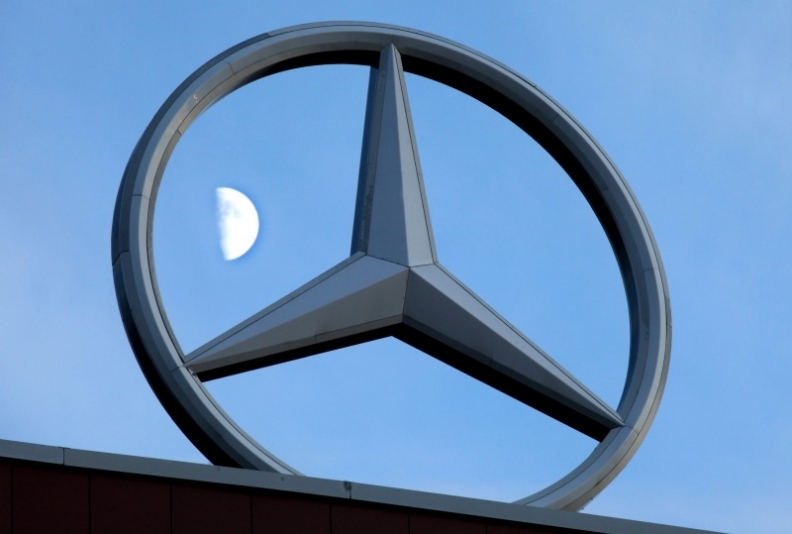 "We expect the Daimler investment will remain at 4.7 percent." Abu Dhabi Water & Electric, which had held 7.3 million shares at the end of 2011, has divested its Tesla holdings, he said. Florian Martens, a Daimler spokesman, confirmed the share transfer. The new Mercedes project with Tesla is for a B-class small wagon, Martens said, without elaborating. Thomas Weber, Daimler's development chief, said in a statement: "Daimler's partnership with Tesla has developed very well and is long-term oriented. Both companies are leading players for electric mobility and continue to push ahead together in this field."